I understand somewhat where the Sacramento Bee’s Marcus Breton is coming from when he writes he hopes that with this 50th anniversary commemoration of President John F. Kennedy’s death we can all finally move on. My spouse was not yet born when it happened, and she tires a bit of all the fuss, too. It’s human nature to make icons of those who die young and at the peak of their youth, beauty, promise. Would Janis Joplin, Jimmy Hendrix, Buddy Holly, John Belushi, Princess Diana have been so revered if we had watched them age and grow old with us, maybe touring as old grandmas and grandpas as the Rolling Stones are doing? It’s almost certain that had JFK lived through a second term, there would be a much more nuanced view of him today. I don’t remember where I was or what I was doing when JFK was shot. I was in 7th grade, consumed with having the same shoes all the popular girls were wearing and dancing to the Beatles in the Junior High gym. But I remember watching it on the TV news that night and for days and weeks to follow. The thing about JFK’s death that had such a profound effect on those who lived through it had less to do with his loss than with the shock that something so primal and terrible could really happen in our warm, safe, comfortable U.S. of A. I grew up in white-bread Middle America, with “Father Knows Best” and “Mayberry RFD,” with June and Ward Cleaver, Wally and the Beav, Red Skelton and “The Ed Sullivan Show.” And now on television for hours on end was the news coverage of this terrible event, the funeral procession and the seemingly endless commentary meilleur produit viagra. 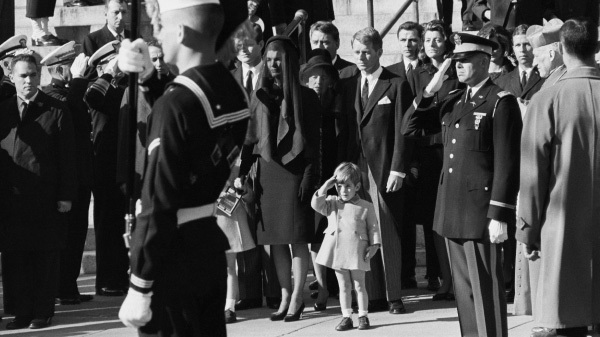 JFK was our first TV president, and TV brought the entire nation together to share in the horror and sadness of his murder. We weren’t aware of it while we were living through it, but television was transforming the way we received information and learned about the world. And the change was only beginning. We could scarce have imagined then that we would know instantly about every horror that happens anywhere in the world. I doubt anything could shock us today in the same way we were shocked on November 22, 1963.